Present annual world energy consumption is about equal to the annihilation energy of 4 tons of matter. Antimatter is not a source of energy for us, it’s a method of storing energy, compact but inefficient. No one can deny the excitement of visiting another world. The sun and its retinue of planets drift as a group through the vast gulfs of space that separate the stars. Above all, I would not expect a wise race, at great expense, to set loose an army of self-replicating robots. 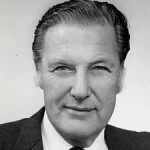 Bernard M. Oliver, aka Barney Oliver, was a scientist who made contributions in many fields, including radar, television, and computers. He was the founder and director of Hewlett Packard laboratories until his retirement in 1981. He is also a recognized pioneer in the search for extraterrestrial intelligence. Oliver was president of the Institute of Electrical and Electronics Engineers in 1965. In 1986, Oliver was a National Medal of Science recipient for Engineering Science and on February 11, 2004 it was announced that Oliver had been inducted into the National Inventors Hall of Fame.